Simplex - method. C# sources. The program for solving linear programming problems by the simplex method. 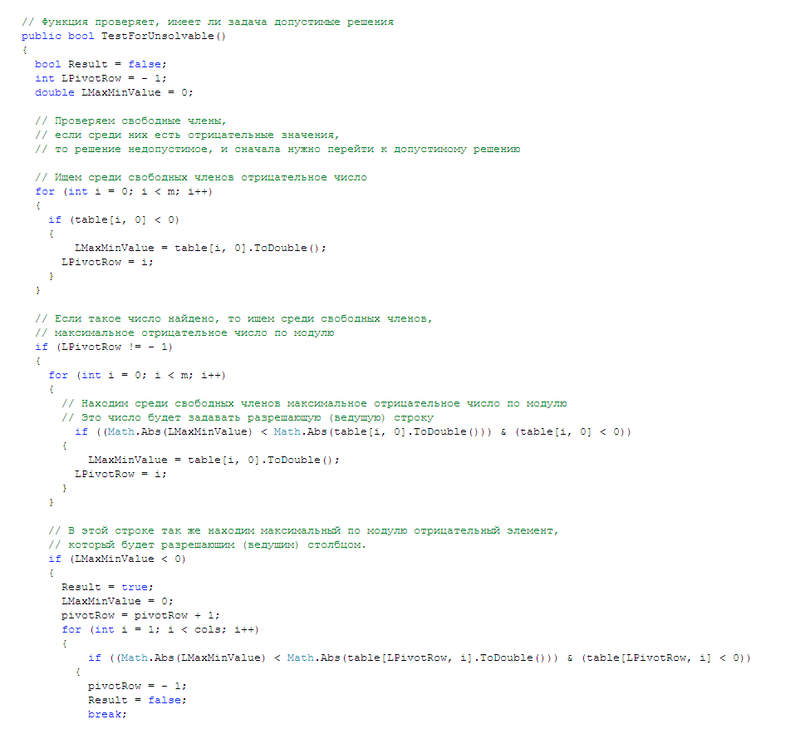 Sources in the Microsoft Visual C#. The program itself reduces the problem to canonical form, and make it iterative solution using simplex conversion table. 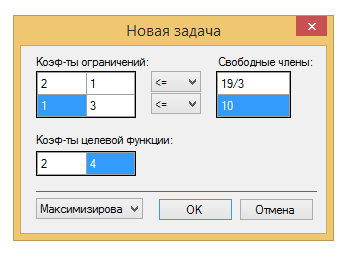 In the first mode, the program automatically selects the enable column and row that provide the maximum increase or decrease of the objective function. And automatically recalculates all of the tables. 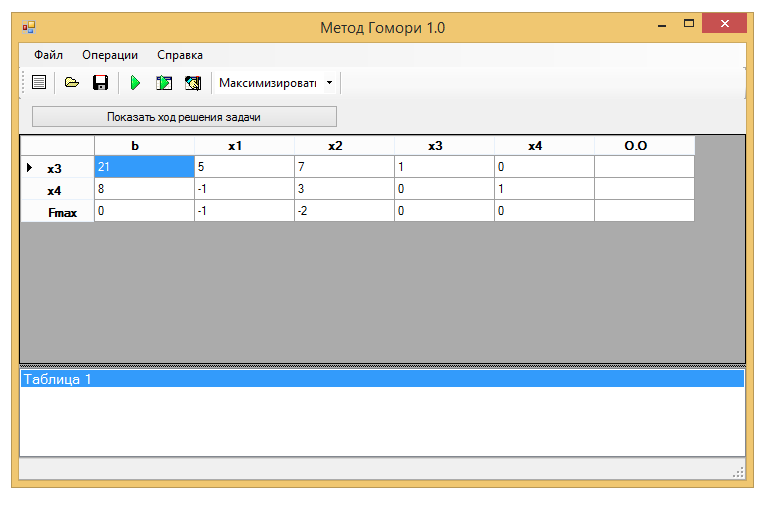 In step mode, each converted table is displayed. This mode is useful to view the intermediate results of the solution. Permissive column and row, in this mode, the program selects itself. In manual mode, the user selects the resolution of the row and column. 3) A few examples of the calculation program. Simplex - method. Coursework and sources.